Haha! Yes, sometimes my activity suggestions also work as prompts for writers! This looks too adorable. I'd adopt Arfy! Ben meaning to find this one - thanks for the reminder! What a cool book! I'm definitely going to look for this one. 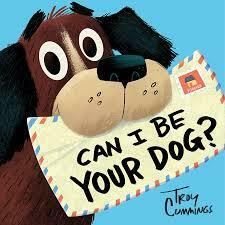 It would be perfect, as you mentioned, to use as a mentor text. I'm so glad you found my post useful. I love letters from cats and dogs. What fun, and great activities you've listed. Awww this is so cute. Love the illustration. Great choice for PPBF. I know. The cover just makes you want to take this book home!